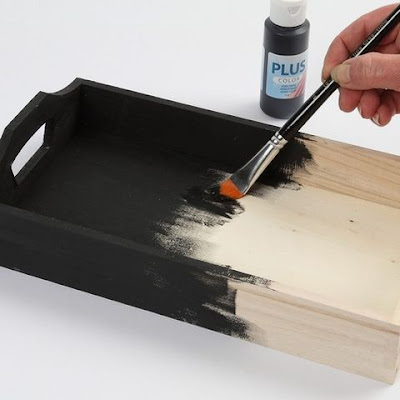 The small wooden serving tray is painted with black craft paint and covered on the sides with small wooden discs. 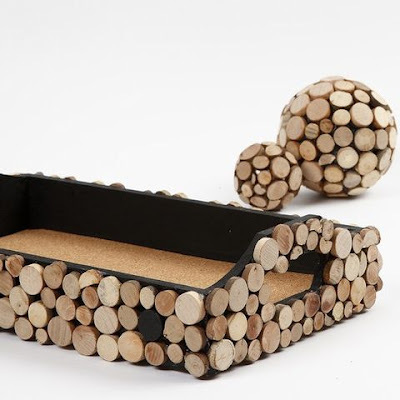 A piece of cork is cut to size. Glue the cork inside the base of the tray. 1. Paint the tray with black craft paint. 2. 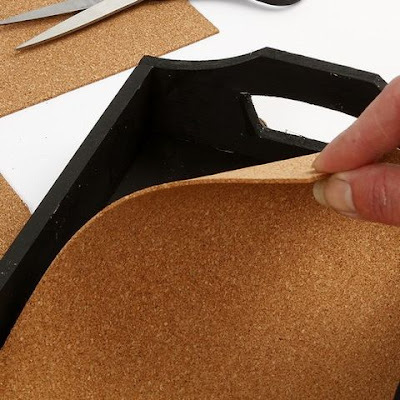 Cut a sheet of cork to fit the inside of the tray. Place it inside the tray. 3. 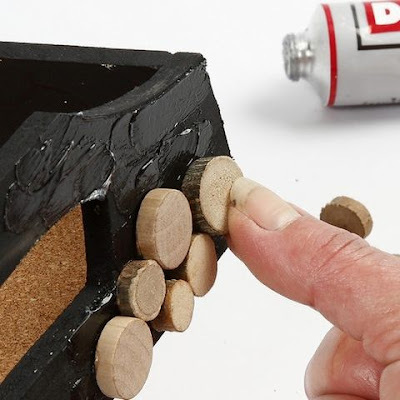 Glue wooden discs onto the outside of the tray for decoration using mounting glue.